Experts at Harvard want to recreate human DNA from scratch. Welcome to the age of synthetic biology. Recently, a project called the Human Genome Project 2 (HGP2) was organized by Harvard University. Their mission? To synthesize the full human genome from synthetic materials. They held a closed-door conference on May 10th to discuss the feasibility of this task. To clarify, the meeting was originally organised in order to “synthesise a complete human genome in a cell line within a period of 10 years” and determine the “deliverables and industry involvement” needed in order to make this happen. From there, the goal of the project is to replace the existing genome within a human cell with the synthetic one. As you can guess, the talks have caused a bit of a controversy, and the situation was made rather worse because the conference was all behind closed doors—no media coverage was allowed and participants were not allowed to Tweet during the discussion. This has raised suspicions, and a number of experts in the field object to the secretive nature of the talks given the (what some consider to be) significant ethical implications of working on human DNA. Would it be okay, for example, to sequence and then synthesize Einstein’s genome? If so, how many Einstein genomes should be made and installed in cells, and who would get to make them? They continue by pointing out that the medical developments HGP2 aims to attain can be achieved through other means, making the project unnecessary (and unnecessarily risky). Yet, one of the events primary organizers, George Church, a Genetic professor at Harvard Medical School, points out that they simply didn’t want any publicity because the paper related to the talk is under review for publication, and the scientists behind the work can’t publicly discuss it until after review. 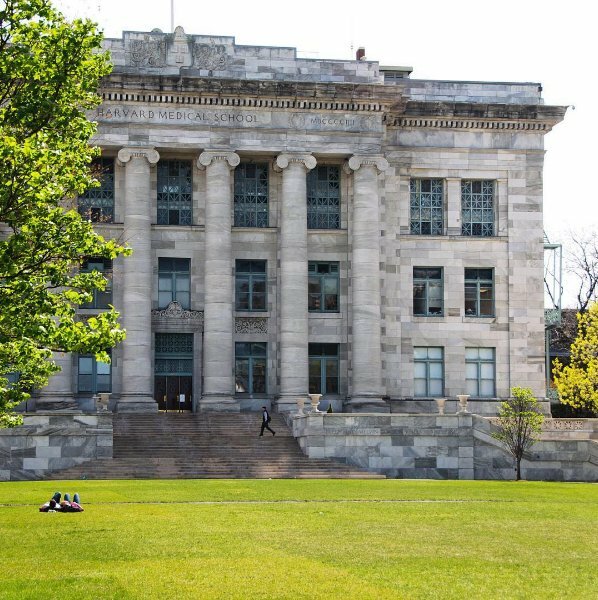 Harvard Medical School. Harvard Med Twitter account. They Can, But Should They Be Allowed To? The issue is not a question of feasibility. It is not a matter of whether or not it’s possible to “synthesise a complete human genome in a cell line within a period of 10 years.” It’s more a question of whether they should be allowed to carry on with the project. To be clear, this is a far cry from something like cloning, as they do not need any DNA source. Rather, they would use chemicals to synthesize all three billion units in the DNA sequence from scratch and create individual cells with it. And while this development would be a long ways from creating a fully lab-generated human, it could pioneer developments that, some assert, may be a cause for concern. As of today, the laws governing genomics and regulations to protect against its misuse are not concrete or universal, which is precisely why this talk is getting such attention. It has served as a kind of locus—a center point that brings together a host of ongoing conversations, serving as a kind of ‘rally’ for those invested in this debate. And ultimately, these conversations are important. While such work could prove advantageous in developing treatments, allowing us to do away with diseases like cerebral palsy or diabetes, in the wrong hands, such powerful technology could lead to catastrophe, such as in biological warfare. Ultimately, the potential should inspire us, but the risk should give us pause. Science must advance, but it must do so with informed decision making.